Don't embarrass your dog by making him wear stuff like T-shirts meant for a toddler. Dress him proper, in a handknit fair-trade rainbow sweater ($38). 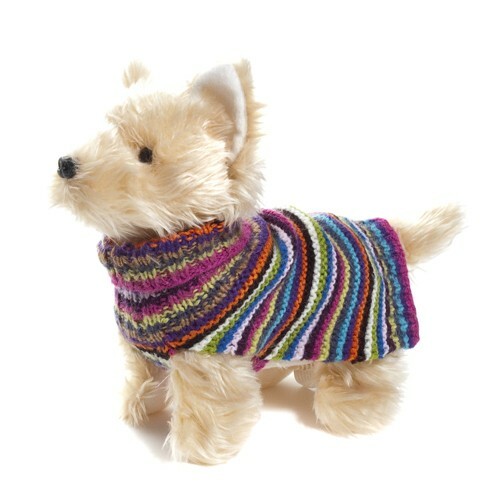 Knit by indigenous Bolivian women, many of whom are supporting husbandless households, these alpaca/acrylic dog togs come in other colors and styles as well.